The Department of Foreign Affairs confirmed it was providing consular assistance to the man’s family. File photo. Phnom Penh, Cambodia. THE DEPARTMENT OF Foreign Affairs has confirmed it is providing consular assistance to the family of an Irish man who died yesterday in Cambodia. 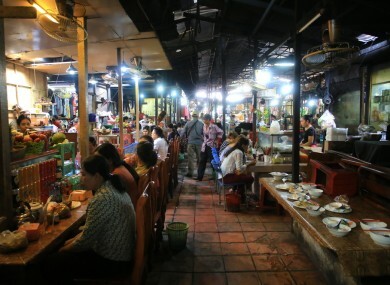 It is believed the man died after collapsing in a restaurant in the capital city of Phnom Penh yesterday afternoon. A spokesperson for the Department of Foreign Affairs said: “We are aware of the case and we are providing consular assistance to his family”. People in the restaurant attempted to revive the man, but he is said to have been pronounced dead at the scene. Images of the man in the restaurant were captured on a Facebook Live video, and shared by local media. Email “Irish man dies in restaurant in Cambodia”. Feedback on “Irish man dies in restaurant in Cambodia”.